Country Living in The City. A beautiful 5-acre property zoned A3,offering the vision to make your own. Use for a small farm with a mix of horses, livestock, greenhouses or just some elbow room for some peace and quiet! The property has wooded, expansive grounds that opens to immaculately manicured landscaping around the barn and home and has a built in irrigation system to keep it beautiful year round. Atop the barn is an automatic daylight which welcomes you home at all times of the day and night. A detached carport sits affront for easy access to the home. The barn has 3 separate rooms with humidity control, perfect for anything from vintage cars, to long term storage of important items. The barn is also plumbed and ready for a half-bath to clean up before heading to the home! The home has modern country charm featuring a fully operational Franklin wood burning stove that gives the home true country comfort. With 2 perfectly sized bedrooms and 1-bathroom this home is perfect for living & lounging. A spacious eat in kitchen with island, stainless-steel appliances and a beautiful view of the property, where plenty of trees and undeveloped acreage await to make the land your own. This home is just slightly away from the hustle and bustle of the city and has video surveillance, gated entrance and is hard wired with surround sound throughout the home. 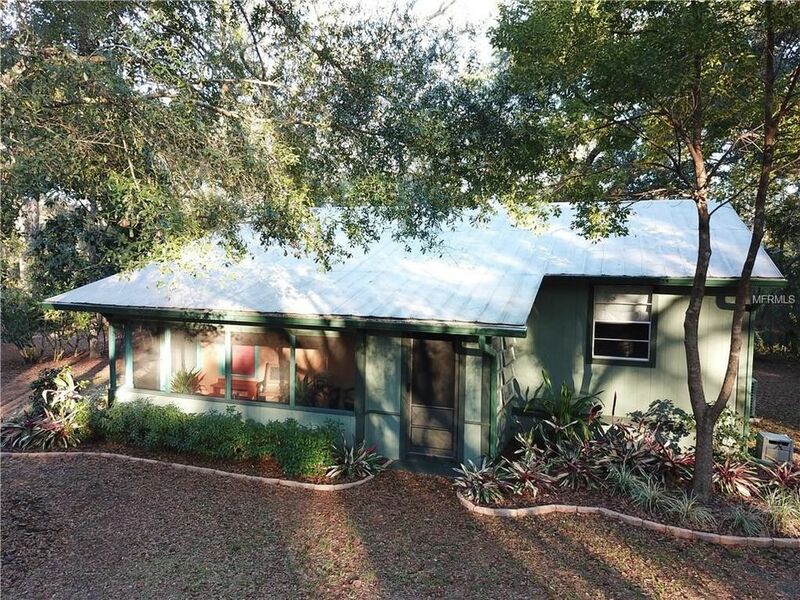 This adorable home, tucked in the woods of Orange City, is only 12 minutes away from Saxon Blvd, and just around the corner from Valentine Park. A must see!